It’s officially December. *Cue the huge wave of Christmas adverts, PR stunts and marketing campaigns* Here at Harvard towers we are already getting in to the Christmas spirit with Christmas lights and tinsel taking over. Once upon a time, you knew Christmas was on its way when the Coca-Cola ad was first aired. These days, it’s the John Lewis ad – a perennial favourite, particularly among middle-class Mums and Dads, AKA John Lewis’ core audience. This year #MontyThePenguin is the hero and a few tears were shed in the Harvard office the day it launched. Well done John Lewis, and Merry Christmas Monty and Mabel. 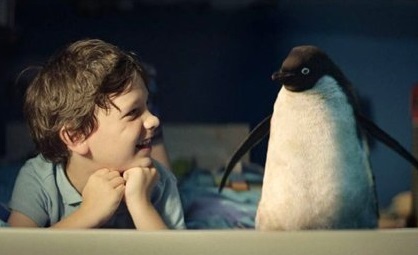 As well as this, brands including McVities (makers of that lunchbox favourite the Penguin bar), British Gas and Penguin Books have got in on the act, responding to the campaign with classic news hijacking. Massive props to the PR team behind the “Blood Swept Lands and Seas of Red” installation at the Tower of London, for keeping the momentum going as Armistice Day drew closer. Royal visitors, celebrities reading the daily Roll of Honour, profile pieces on the artist Paul Cummins and designer Tom Piperand many other picture stories have kept this breathtaking tribute to the fallen heroes of the First World War front of mind in traditional and social media. To the extent that people are queueing for hours to see the poppies, and a petition has been started to extend the spectacle beyond 12 November. We predict the #TowerPoppies team will clean up at next year’s awards! We must be reaching peak Christmas advertising by now. And probably no ad has divided opinion in the office more than Sainsbury’s effort. Is it a goosebump-inducing commemoration of the sacrifice made by British soldiers 100 years ago, or is it an exploitative cashing-in with no real connection to the brand?… Either way, it’s undeniably a great bit of film, beautifully shot and handsomely made. A few years ago, it might have remained there, for the eyes of Guardian readers alone. But her piece has since done the rounds on Twitter, and been picked up by other major news outlets. Even the Construction Industry Training Board has weighed in, calling the hoarding “depressing and highly insulting”. @MalmaisonHotels continues to studiously ignore the furore on social media. Not cool, Malmaison, not cool. What’s been your favourite campaign from November? Let us know by tweeting us @Harvard_PR, or commenting below.